There have been some sideline rumor stating that the Google Team is working on releasing a new OS. Actually, this isn’t an Android OS and yes, it is named “Fuchsia” (Still Wondering how these guys get their naming inspiration from).This new operating system uses the new Magneta kernel which is designed to power the internet of things. As it stands, the codes for this project is piling up and can be seen at the code depository of the search engine giant, Google. This OS, as seen, tends to come with lots of interesting features though as it stands, google is yet to comment on what we should be expecting, the OS has been reported to been able of powering both Android and Desktop (Hopefully this might just be another MVP of Google). But What can Fuchsia Do? Basically, Magnenta targets phones and Computers that use “fast processors” and “non-trivial amounts of RAM (Why i think this might just be a replacement for Android). 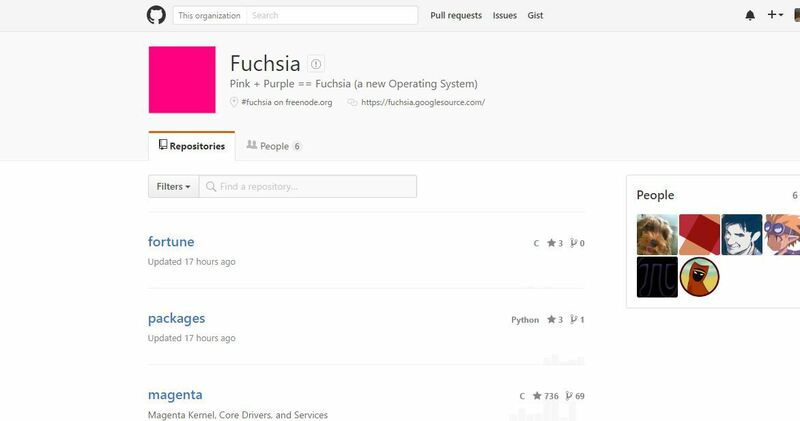 Looking into the GitHub page, the only information we are left to hold is just “Pink + Purple =Fuchsia”, a New Operating System. Hopefully, Let’s see What the Future of Fuchsia. Android is working fabulously and this Fuchsia is really going the rock the world of smartphone users. I am eagerly waiting to use it myself. Hey @Reemashi, Thanks for stopping by to read, You will surely get more news about Google and Android from us. Great post. Keep notifying about all the upcoming Google ideas.